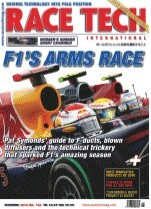 "Making Sense of Squiggly Lines"
As featured in Race Tech magazine! Please see their December 2012 issue for a review of the book, or click here. of using g data for driver improvement in braking and the different phases of a corner." "I've started through it, and I must say that this is the Buddy Fey replacement that we've been waiting for!" "I have been involved with the San Francisco Region Driver School since the early 70's and for the past couple of years have been leading a group for advanced and experienced drivers. In the school last year I recommend the students get your book and read it regardless of whether they had a Data Acquisition system or not, it is a great book on competition driving, and should be read as much for the driver coaching as for the data acquisition. Thank you for a fabulous book!" "I'm just starting to read it, and I have to say I'm very impressed so far." 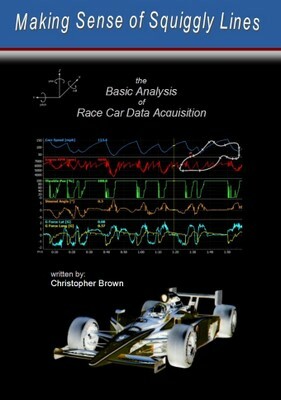 "A very approachable tome that focuses on driver engineering through the intelligent use of data. Chris' explanations are wonderful and the premise of the book (as indicated by the title) is well executed. Probably the best single book for learning what to look at FIRST for the Club and Track Day driver. Highly recommended!" "So far I'm about 60 pages into the book and loving it. The book is going to cost a lot more than I thought because it looks like I'm upgrading my data logging capabilities!" See for yourself ! ! !